This month we are ‘exploring life through food’ with model and foodie nutritionist Lise Aanes. Her love for food extends way beyond clean eating fads and weird diets. It has become her life and she embraces the joys of natural and seasonal produce. 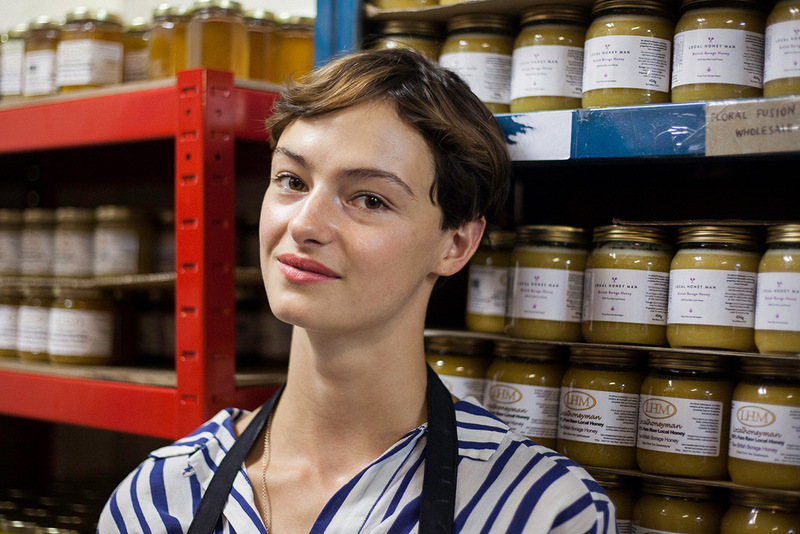 We had the pleasure of picking her brains and finding out what she likes about our raw honey and how she throws it down in the kitchen. We share a common mission to save the planet by conscious eating and living habits so it was a great meeting of minds and a better excuse to eat a lot of raw honey. My name is Lise Aanes and I work as a model in London and around the world. I am 24 years old and I am originally from the north of Norway. As well as running my website Alien Seas and studying healing diets and holistic nutrition at School of Natural Medicine UK. I am also a vinyasa yoga teacher. The town my family is from, Narvik, is actually in the Arctic Circle. I grew up in the countryside and I love big forests, birdsong and animals. My favourite things to do are going for walks in nature, cooking, reading huge books and taking long baths. I have always loved to cook, but because I am naturally quite skinny I can eat however I wish without gaining weight, which is a dangerous thing. Because of this I ate quite badly through most of my teens. My saving grace was that I became a vegetarian at 14, this was originally for political reasons… and maybe because of a hot 16 year old with dreadlocks. Through my love for food I met many people who were also obsessing over taste and slowly I began to see how quality is not only linked to flavour but nutritional density too and because I am a bit of a geek I started reading on the subject. Then I decided I wanted to do the thing I love the most for my career. This involves cooking and eating, nourishing and healing people and taking care of the planet. At this moment I started on the path to becoming a health practitioner. 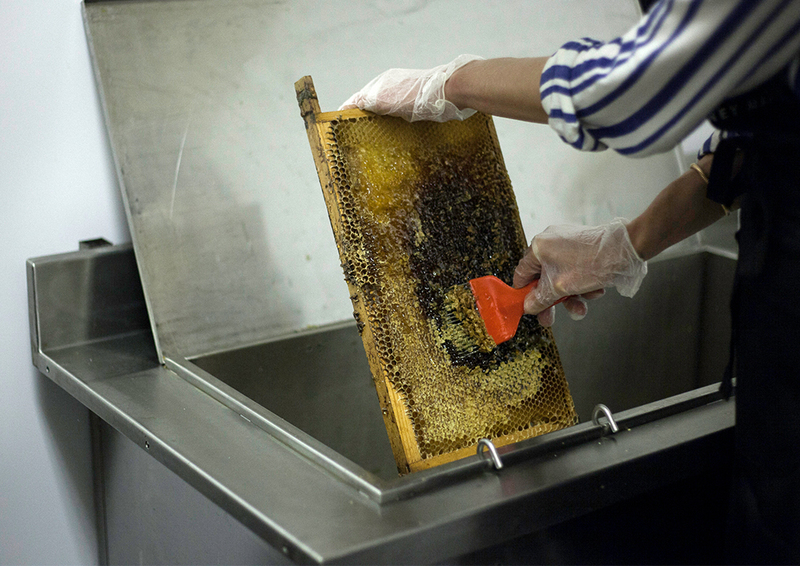 How was your first Local Honey Man experience? It is so wonderful when I meet somebody who shares the same values! In my cooking and my approach to food I very much have a holistic perspective in terms of using food to save the planet as much as treating individuals. After visiting you I realised that the work that is being done at The Local Honey man is not just about creating delicious honey, but also about helping to save a species of insect that is truly unique as well as vital for the survival of plants, animals and humans. I learned that I had absolutely no clue how honey is made! It is one of those things we just take for granted, in the same way that city kids think that peas are grown in the freezer… It is always a humbling experience to encounter the origins of the food that keeps us going and it left me feeling very grateful. Name your top 3 DIY honey hacks? I always keep a small jar of raw honey in the fridge for it to crystallise and I then use it as a scrub. Add a spoonful of honey to a handful of oats, add a splash of water, mix well & apply evenly. Say hello to a supple shiny complexion. I love to use a little bit of honey in savoury food to give it a sweet lift: in a spicy chilli salsa, on pizza or on my morning oats. What kind of tea makes you tick? Fermented! I make kombucha, a type of fermented tea, all the time at home. Its probiotic, super healthy, fizzy, sweet and sour. The perfect pick-me-up. It changes with the seasons as I regularly obsess over seasonal produce. We have had a very bountiful aubergine harvest from our veggie garden this year (thanks to my fiancé and his green fingers – I can’t grown anything at all!) and I have found so many interesting ways to cook them. I am also going through a massive sprout phase at the moment as I’ve just invested in a new sprouter – who knew that radish sprouts could be so delicious? Now I can hardly contain myself as autumn, my favourite season is approaching and we will have pumpkins coming up. This means that I can perfect last year’s pumpkin and raw honey cake experiment… Yes, there will be a recipe on the blog. As a globetrotter what is your favourite city? My parents instilled a love of travelling in me from a very early age so they had themselves to blame when I left Norway at 17. Again, a very difficult question, I adore New Delhi: the hustle and bustle and sounds and colours of India concentrated into one small space. I also fell hard for Boulder in Colorado this summer! We ate and hiked our way around throughout our stay there. It is rare to find so much amazing food within such a small radius while simultaneously being surrounded by the biggest and most beautiful nature that North America has to offer. Which LHM honey do you prefer Golden, Borage or Rapeseed? I loved the Rapeseed honey because it was something else: it packs more of a punch flavour-wise as it is almost citrus-like and with a slight bitterness, such an interesting honey. Honeybees can be found in hives made by humans. But where would they prefer to nest if in the wild? b) In a ready-made, abandoned foxhole. Hmmmm… I would say C! We used to have bees or wasps, not sure now, lodging on the side of the house I live in as a child and it would freak us all out, especially my dad. Thank you for talking to the Local honey man. Looking forward to seeing you next time!